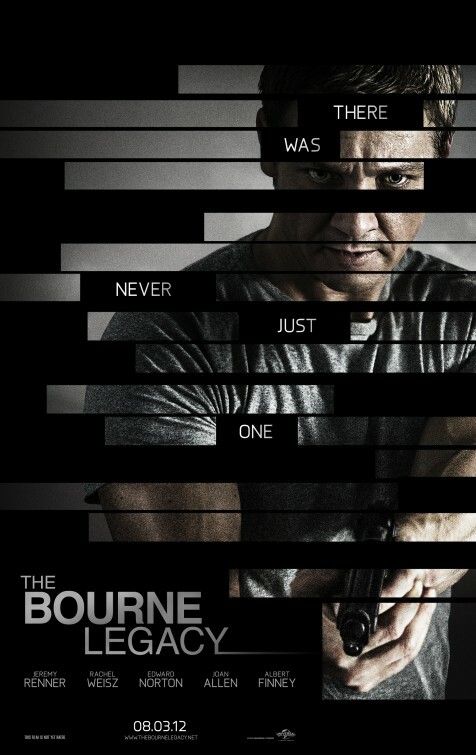 With “The Bourne Legacy”, Universal Pictures gives us something that has never been done before in cinema. The movie is not a sequel nor is it a reboot or a spinoff. Instead, what we have is more like an overlapping run-off, taking place in the same timeline as the previous Jason Bourne movies, specifically the last one, “The Bourne Ultimatum”, while doing its own thing. It still feels and acts like its part of those action-packed-yet-intelligent Matt Damon flicks based on the Robert Ludlum spy novels though. That’s because the same producers and writers are on board and they know that in order to make this work without Damon, the picture has to maintain a familiarity while offering something slightly different and still being grounded in the world they’ve already built. 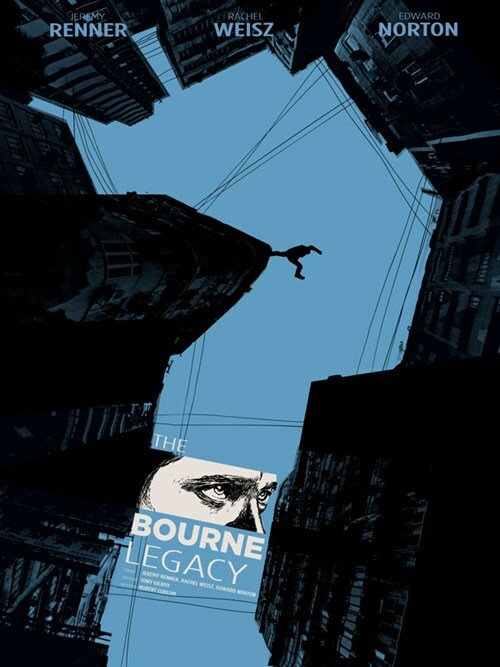 Keeping that in mind, “Legacy” succeeds and is consistently thrilling, despite being slightly confusing and not as believable as the other Bourne movies. What holds it all together here is a charismatic new lead and the situations he gets himself in and out of. Honestly, that’s really all I ask for in a “Bourne” movie. I can deal with all the political poppycock thrown at me, as long as the character I’m following appeals to me in some way (hopefully multiple ways) and is compelling to watch. Such is the case here. Director Tony Gilroy (“Michael Clayton” and “Duplicity”) wrote the last three Bourne movies and this time he co-writes with his brother Dan Gilroy. The Gilroys use a technique in “Legacy” that worked well in the previous movies. Just as 2007’s “Ultimatum” had some overlap with 2004’s “Supremacy”, the first thirty minutes or so of this movie overlaps with “Ultimatum”. It’s a cool nod for those in the know and subliminal world-building for the newbies. Although we never see him, Jason Bourne is present in “Legacy” and has those who were involved in the now defunct Operation Blackbriar in a paranoid frenzy. If one programmed operative from the Treadstone operation could go rogue, then so could others from different operations. This is the problem the heads of the murky CIA of the Bourne universe are presented with. Because of this, military advisor Eric Byer (Edward Norton, a nice addition to the series) sets out to secretively eliminate all other field agents out there. Aaron Cross (Jeremy Renner) is one of them, a participant (or victim) of a clandestine program called Operation Outcome, that supplied their subjects with addictive green and blue pills (called “chems”), enhancing their mental and physical prowess. It’s similar to a certain Super Soldier serum, only it seemingly deteriorates individuals once they’re out of chems and it’s concocted in a secretive lab where scientist Dr. Marta Shearing (Rachel Weisz, “The Fountain”) works. She helped develop this unique viral composition, unknowingly becoming a crucial part of an elaborate and deceptive program. In order to completely wipe out all involved in Outcome, Marta is now targeted along with the now on-the-run Aaron. When he escapes a failed assassination attempt by Byer’s team, Aaron realizes he’ll need to find Marta to acquire more chems and possibly get some questions answered. She’s the one he remembers. The one who used to give him his regular exams. She will hopefully know how to keep his enhanced system balanced as well. By the time Aaron catches up with Marta, she is frazzled and framed for murder and in dire need of a protector. Realizing they need each other, the two moving targets manage to keep each other alive as they are relentlessly pursued. They make their way to a secret manufacturing facility in Manila, hoping to find a way to cure Aaron of his pharmaceutical dependencies. “Legacy” is no small task for Gilroy. Although he’s familiar with all the required technobabble and government conspiracy scenes (that’s where Scott Glenn and Stacy Keach come in, as well as returning actors in brief roles: Joan Allen, David Strathairn and Albert Finney) the series calls for as a writer, he must wear a different hat as a director as he introduces audiences to a new character. While some may complain that “Legacy” doesn’t have enough action or is too confusing, I enjoyed that Gilroy made me work for my time in the theater. (To be clear, it never really feels like work though). Thankfully, nothing is spelled out for us here and rarely is anything predictable. Granted this genetically-enhanced program seems kind of convoluted, but it’s still just as exciting and intriguing as the other movies. That being said, it may be somewhat problematic though, as some will wish they would’ve brushed up on their Bourne before viewing “Legacy”. If you’ve seen the other movies, it helps – but, I can’t see why you wouldn’t be entertained by taking this film as it is. Gilroy introduces us to Aaron in a cool opening shot that is a clever call back to 2002’s “The Bourne Identity”. We find this new protagonist training (and surviving) in the Alaskan wilderness. Being a sucker for survival stories in harsh environments, especially ones involving wolves (like “The Grey” from earlier this year), this easily appealed to me. This opening also gives us (and Aaron) a chance to meet another Outcome operative, Agent Three (Oscar Isaacs, “Drive”), a mysterious character who grows tired of Aaron’s many questions. Aaron Cross may not be dealing with amnesia like Jason Bourne was when we first met him, but in a similar manner, he has to try to put together pieces of a very challenging puzzle. Cinematographer Robert Elswit (“There Will Be Blood” and “Salt”) is a a frequent Gilroy collaborator and editor John Gilroy (another brother – it runs in the family! ), both provide some impressive visuals. At first, it seemed like we would be subjected to the shakey-cam technique that some complained of from the last two films directed by Paul Greengrass, but Elswit varies it up, offering close-up shots when needed and wide expansive shots to showcase select geographic locations. The editing is quite impressive throughout, notably in all the action scenes – specifically in a break-neck motorcycle chase in the streets of Manila. It might seem a little more unbelievable than some of Jason Bourne’s moves (that’s the thing, it’s kind of supposed to be), but it’s all easy to follow and quite exhilarating. Although Renner has appeared in “Mission: Impossible – Ghost Protocol” and “Marvel’s Avengers”, he hasn’t had the opportunity to really carry an action movie until now. Well, he does just that with “Legacy”. What I liked about his work here is how he never comes across as showy or trying to be a Leading Man of Action. He just is. He doesn’t have the boyish charm that Damon does, but that’s a good thing since he should be different. 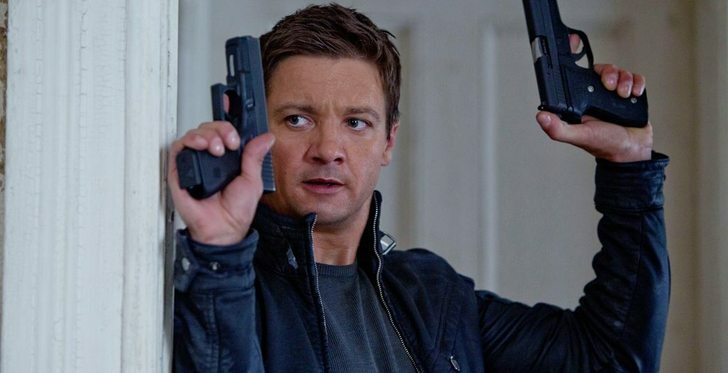 There’s a charismatic ‘every guy’ appeal to Renner, combined with a relentless determination and a stubborn scrappiness needed for the character. Renner is great at combining both mental and physical activity to his roles, something needed in a character like Aaron Cross. His scenes protecting Weisz’s Marta feel real and genuine, not forced or fake. Sure, Aaron is supposed to be the lethal weapon guarding her from danger, but Renner makes it all feel like instinctual acts of second-nature. For a guy over forty doing most (if not all) of his own stunts, Renner is pretty impressive. It may feel like the actor has been everywhere lately (believe it or not, there have been roles he’s turned down), but if you look at his career trajectory, it’s obvious he’s done his time. If he keeps this kind of work up, I can easily see Renner as both a leading man and as a supporting character actor (like his Oscar-nominated turn in “The Town”). As the film’s tagline reads, “There was never just one” and while I never imagined I would readily accept such a proclamation in the Bourne series, I find myself doing so with no reservations. “Legacy” feels less like a plot device and more like an opportunity to open up the established world into something bigger. Ordinarily, such a move would feel like another way for the studio to make boffo box office and that may be the case, but “Legacy” is still a cool action flick, albeit a bit silly, with a solid new head on its shoulders.